The new Lotus Evora Sport 410 has been revealed, ahead of next week’s Geneva motor show. Although it’s based on the Evora 400, the Evora Sport 410 is 70kg lighter. Weight has been shed by the use of carbonfibre components for the front splitter, roof panel, tailgate, rear diffuser, a one-piece tailgate and forged alloy wheels. This also accounts for an improved aerodynamic downforce of 15%. With a lower centre of gravity, a kerb weight of 1325kg and that supercharged engine, the Sport 410 can sprint from 0-60mph in 3.9sec and go on to a top speed of 186mph. It can also lap Lotus’s Hethel test track in 1min28sec. 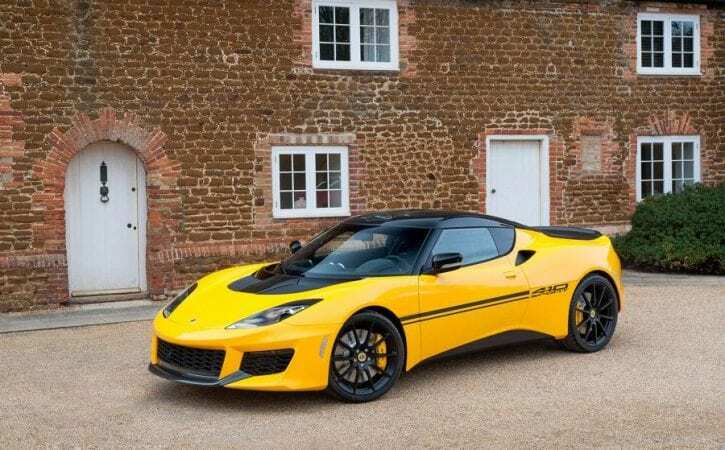 As well as the standard paint choices, the new Evora can also be personalised via the recently-launched Lotus Exclusive programme.